Incorporating work-related tasks into a lifestyle of travel, exploration and social connections makes work feel a lot less like work. 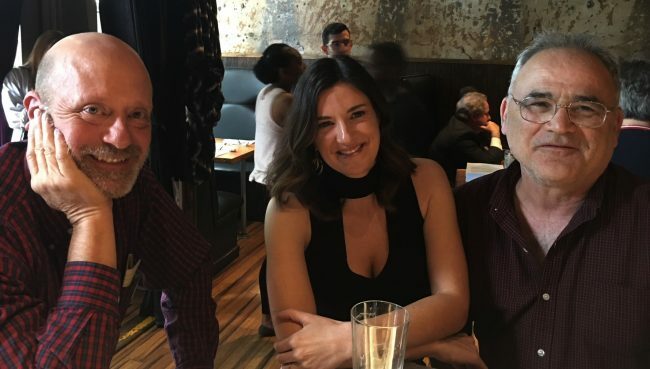 Jim DuPlessis (left), Natasha Chilingerian and Marc Rapport meet at Bourbon. One of the strangest experiences in life is returning to a place – one where you made significant memories, formed meaningful relationships, and endured ups and downs – after a long period of time and remembering moments you may have otherwise kept buried forever. Apple has planted its first titanium foot into our financial territory. Has our country basically created an education system that benefits Olive Garden’s recruitment team? When it comes to targeted messaging, it can be easy to make the recipient feel manipulated, invaded upon or misunderstood.